Bone Broth and stock is a favorite food in our home. 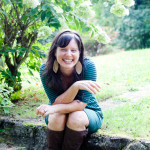 I was first introduced to bone broth after reading about forgotten traditions like healing chicken soup. The reason chicken soup is described as the healing soup when you are sick is because traditionally it was made with meat stock and bone broth. What is the Difference in Meat Stock and Bone broth? 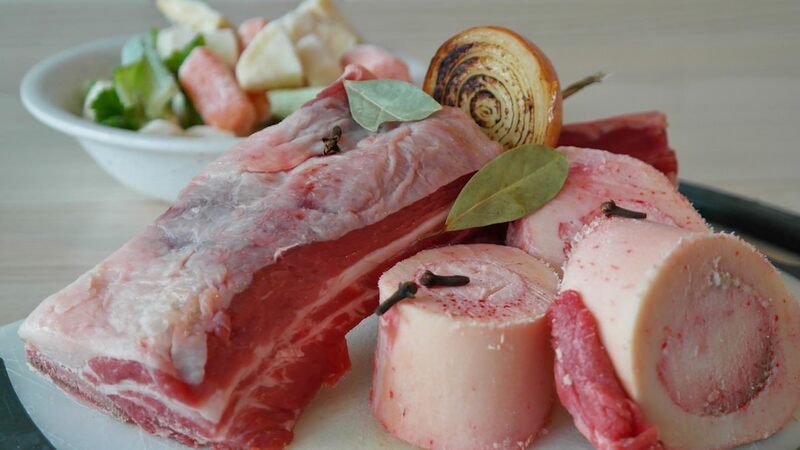 Meat stock is produced when you use bones that have marrow and meat attached. I like to do this with my chicken . I place a whole chicken in the crockpot and fill it half way with water. Within 6-8 hours on low, you will see a liquid that is your “meat stock”. Meat stock will form a “jelly” like substance in your jar once cooled and refrigerated. This is the best part especially if you are looking for healing benefits and to support your immune system. Bone broth is made from cooking bones with minimal amounts of marrow or meat on them to get a broth or more liquid like substance and used as soups. Usually your first batch is the meat stock and your 2nd or 3rd batch is the broth. They are both beneficial and can be used interchangeably or together. If someone is sick, I will feed them the meat stock only. On a general eating rhythm, I will use both meat stock and bone broth to make my soups for my family. If you are trying to heal a leaky gut or feeding this to an infant or toddler, I recommend consuming the meat stock over the broth. Once you see symptoms change, you can move to the broth only. Honestly, you can use both of them together at any point of consumption. Some of my clients go on a “cleansing fast”. They consume only meat stock and bone broth and move into different foods for a week. If directed by a professional, consuming bone broth and using it as a fast can promote weight loss, improve skin issues and reduce inflammation. It serves as a “reset” to your body as well. If you or your child are experiencing any skin issues, autoimmune diseases or digestive issues, I highly recommend a bone broth fast. Contact me here for more info. Take the roasted vegetables and bones from the oven and place them in your crockpot. Pour the apple cider vinegar over the bones. Fill the filtered water over the bones until it is level with the top of the pot. Put the bones on low for up to 12 hours. Ladle out the broth into mason jars. This is your first batch. You can continue to pour water back over the bones and add more apple cider vinegar for 2 more batches and sometimes a 4th batch. You can use your broth immediately or once the broth is cooled, you can place it in the refrigerator and then in the freezer to store for later use. We use our broth for beef and potato soups, vegetable soups or a mexican spicy soup. We also use the fat from the broth or some meat stock in our eggs and they are delicious! You can cook rice and vegetables in your broths or make gravy and sauces using broth to add the benefits of it to every meal! Sometimes our bodies are in need of a reset. Consuming large amounts of broth or doing a cleansing broth fast can reset the body’s ability to burn fat. For assistance and more clarity, please contact me here for personal help. There is much out there about detoxing in this toxic world. Many products are sold for this purpose and although most can be safe if taken as directed, some of us need an easier detox. Consuming broth and losing excess fat on the body is an easier detox, as many toxins are stored in the fat of our body and losing the fat help get rid of the toxins. The glycine in broth helps the liver clean our toxins as well. It can help everyone, but especially those who have undergone chemotherapy or have alcoholic hepatitis. Many of us have small holes in the lining of our gut that can lead to food allergies, skin issues or inflammation. Supporting and healing our gut lining is essential to proper absorption of the nutrients we need. Bone broth contains collagen that helps to heal and seal the lining. Read more here. Did you know that you can tell a lot about your deficiencies from the conditions of your nails? Bone broth is full of gelatin that helps to make bones and nails stronger. It also has the right amount of ratios of protein and minerals to create stronger bones and nails as well as make your hair stronger. Many integrative doctors are describing “inflammation” to be the root cause of most diseases. Pains, rashes, reparatory issues and allergies are just a few conditions that most doctors would agree to involving inflammation in the body. The glycine in bone broth helps to synthesize glutathione and uric acid in the body. Inflammation is necessary for the immune system to work or the body to heal, but when there is a constant chronic state of inflammation then the body is unable to turn off inflammation and this can cause a multitude of problems and lead to disease and illness. Many people with auto immune diseases or who have had cancer and undergone chemotherapy and other treatments find that their immune system is unable to cope and needs to be redirected. Bone broth is a healing and feeding food for the immune system. If you are not ready to make bone broth or meat stock, you can purchase bone broth here and here. The Mueller Farmer’s Market and Local stores like Wheatsville and Natural Grocer both sale local broths! You can get your beef bones at Whole Foods, Wheatsville or farmer’s markets.